Amanda Springer, BA, is a Mixed Media Visual Artist, Blogger, and Online Art Teacher who works with artists and small start-up businesses on developing and growing their social media presence. 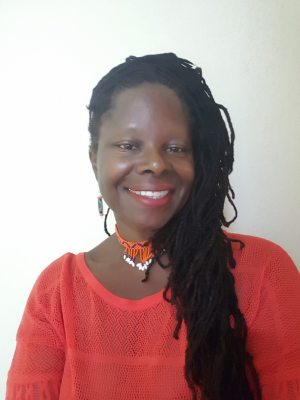 She has exhibited her art both in the UK and Barbados and has been published in magazines and several art books. She moved to Barbados from London, UK with her family in 2015. She has been painting for over 20 years, while also pursuing a career in Theatre Arts and the Public Sector including design, education and health. She received her BSc (Hons) in Complimentary Therapies in 2001 specialising in Nutrition and Holistic Massage therapy. Amanda combines materials such as collage, clay, recycled materials and fabric to create her art works. She is passionate about how we share our stories and experiences through the use of colour and texture and how those stories resonate with viewers. Always keen to explore how art and creativity impact on health and well-being and the use of creative expression as a means of communication, she has worked extensively with the elderly with dementia, developing ways to use creativity to help them share their stories, their knowledge and their wisdom. Amanda runs an online NHS Arts in Health Network, curating information for individuals and organisations interested in Arts and Health activities and identifying collaboration opportunities from around the world on the benefits of Arts on Health. She speaks at a variety of conferences, delivering seminars and workshops on the impact of dementia, the use of art and creativity in a care setting and dementia strategies for those working in healthcare and beyond. She shares her story of being a care-giver and explores dementia on her blog as well in her art work, in the UK, Europe and more recently for the Barbados Alzheimer’s Association. With the range of technology and social media platforms available for us to use, Amanda looks at the way in which we can utilise them to enhance our creative process and not let them take over. Amanda discusses and examines the different platforms and looks at ways in which we can best access them in our creative practice keeping up with the ever changing technologies whilst still staying true to our art forms. She will ask you challenging questions to get you thinking how you can integrate technology into your practice and share aspects of your daily life. Amanda uses technology to share her experience on her blog and website of her journey as a care-giver for her mother who has been living with dementia for 20 years, and sharing the way in which art and creativity can impact our lives. We can all be part of a creative movement that celebrates the creativity in all forms and continues to put Monserrat on the international map as a cultural go to destination!